NOTE: These instructions were last updated on 3/17 with final details on A5 deliverables. Design is ultimately about creating experiences for people. When considering solutions to common, albeit complex socio-technical problems, designers must give special attention to the interplay of the social and physical context, information, and user behavior. The goal of this team-based assignment is to envision and build an interactive, intelligent, and innovative Point of Purchase (POP) Kiosk that supports the goals and context of the design brief summarized below. Teams should strive to introduce a concept that’s unique for the marketplace, feasible, and desirable for the target context and group that is articulated by each team as they work to address the design brief. Teams will be comprised of ~4 people assigned by instructors, contained within each section to best utilize weekly studio meeting times. There is significant potential for self-service and partially automated point of purchase (POP) systems to be increasingly integrated into the typical brick-and-mortar shopping experience. While they have become commonplace staples of supermarkets and big-box retailers, there are undoubtedly many ways that such systems can innovate and reshape the customer experience across a variety of retail sectors. As such, these systems will be expected to support a wide range of both human and retail needs and services. Context: While the primary design goal of a POP kiosk is shared by all teams, within that constraint you are free to pursue whatever retail space you choose: well-known chains; boutique or artisanal products or services; emerging and novel marketplaces; or even near-future retail spaces that are on the verge of being possible. Each context, product, customer, and type of purchase will present unique challenges and opportunities to demonstrate your ability to innovate and generate solutions. Product Interaction: It is expected that each kiosk will be specifically designed around interactions with either physical product(s) or a marker that symbolizes said product(s). This will necessitate that your design solution is taking this very specific type of interaction into account, and that this is well-represented and thoughtfully integrated into your solution. Movement via accelerometers to sense repetitive activities such as walking, running, biking, etc. Your team's goal is to perform human-centered research and design around the brief outlined above. This assignment has two phases. For phase 1 (Research), teams will conduct online research, competitive analysis, and fieldwork to more deeply understand one of the given design briefs. Teams will create personas to articulate stakeholder concerns. Finally, your teams will generate storyboards to articulate hypotheses about the problems and potential solutions, and then conduct interviews with stakeholders to sharpen your point of focus. For phase 2 (Conceptualization and Execution), teams will iterate on physical prototypes, create interactive screen designs, conduct user testing, create moodboards, and develop a design language specification. Teams will also be expected to create a slide deck, and poster as part of their final deliverables. Online research. Get to know your particular topic inside and out. Read all the information that you can find online and summarize the specific challenges. Write a list of all resources (books, URLs, journals, conference papers) so that you can cite them later. Create a list of existing POP kiosks that you find and summarize what they offer and what they lack (competitive analysis). Personas. Based on the design brief, online research, and any other research you conduce (informal interview or informal field observations) create a personas that illustrate the archetype primary stakeholder (main user completing the POP interaction) in your problem context. Minimum 1 persona per team member. Storyboards. Write at least two "speed dating" scenarios that describe problematic situations for your stakeholders and illustrate these as storyboards. Each storyboard should include a title that summarize the problem and four frames that clearly communicate 1) the context (setting, stakeholders, etc. ), 2) the problem, 3) the proposed solution, and 4) a resolution. Teams will share storyboards in class and get feedback on how effectively they communicate the issues and concepts. Wireframes. Utilize hands-drawn (low-fidelity) and/or digital (mid-fidelity) wireframe concepts to clearly communicate the content and interactive elements of screens/information displays that will be part of the user interface for your kiosk. Wireframes should be completed individually as per in-class instructions/scheduled, but should also serve as coordinating and shared design artifacts to help articulate and refine the interactive/informational elements of your screen(s). Kiosk sketches. Taking everything into account that you have learned and developed up to this point, you should start sketching ideas for the physical kiosk itself. This is an activity that will be revisited several times throughout the process. Sketches will be completed individually and as a team, and will take the form of thumbnails, full-page, and digital forms. Materials list. Teams should create and update/maintain a shared list of the prototyping materials they will need for low, mid, and high fidelity prototypes of their kiosk. Teams should begin gathering materials by the end of Week 7 so that they can begin working on physical prototypes of the Kiosk by Week 8. Paper prototype. Create initial mockups out of paper to demonstrate how users will interact with screens/information displays to complete the purchase process for the physical product your kiosk is designed for. Conduct testing with a minimum of two potential stakeholders/users from outside of class. These tests should be carried out by team members in pairs, with one member focusing on guiding the testing session, while the other team member assists with "operating" the prototype and taking notes about the testing session—this is very important! Make sure you collaboratively create a set of specific tasks (e.g. such as those you drafted for A4) that you are asking your user to complete through interaction with your prototype. It is recommended that your prototype and tasks focus on specific, but fairly high-level interactions that will get you the most salient and valuable feedback about your initial ideas concerning how a user will interact with the screen(s) of your kiosk when completing a purchase or other specific interaction. It is ok to also share sketches, wireframes, and storyboards with your users to get additional feedback, but this should likely be done after the paper prototype testing has been done. Share the results of your tests with the team, and then as a group you should summarize the results of these tests, highlighting the key findings and discussing their implications for your design direction moving forward. Interviews and concept validation. After a round of iteration on the storyboards, wireframes, and paper prototypes, teams should interview potential stakeholders to better understand the real problems and to clarify the direction for your design concept. Make sure to read Erika Hall on Interviewing Humans! Reach out to your own social networks and people who fit your personas to find potential interviewees. The closer you can get to a real user of your shopping context, the better. You might interview a friend or family member, but the key goal here is to get *real* feedback and insight into both the general shopping experiences of potential users, as well as those specific to your design. As a team, create a rough interview guide with open-ended questions for your intended stakeholders. This should include general questions about the interviewee’s activities related to the topic and specific questions tied to your storyboards. Each student on the team should conduct at least one interview with a stakeholder. Bring your sketches, storyboards, wireframes (and if appropriate, your paper prototype) to the interviews to get elicit from your potential users. Make sure you share your interview findings with your teammates. As a team, summarize the key insights you've learned about the problem and the stakeholders. NOTE: you can utilize the same people for interviews and paper prototype testing, but they should be conducted as separate activities, even if they occur back-to-back. Do not attempt to do both at the same time. This does not mean that team members can interview the same person more than once, as you still need a total of 4 unique interviews. Note that some of these stages are expected to continue to be iterated on beyond their initial deliverable due dates (sketches, wireframes, paper prototypes, etc. ), and that these deadlines and submissions are meant to serve as forcing functions and checkpoints to ensure progress is being made. Team interview guide + summary of interview results—this summary can be a synthesis of all 4 interviews, and should likely be ~2 pages in length, which can include some bullet points. Please ensure that you retain any and all work (sketches, wireframes, personas, photos, paper prototypes, etc). that you produced in Phase 1, as well as all Phase 2 deliverables, so that you can easily include selected items in your final report. NOTE: it is expected that, concurrent to the deliverables below, you will be continuously working on developing, building, and testing the physical kiosk itself—even if this is not explicitly stated for all deliverables and due dates. This prototype should necessarily represent a first pass at translating the design your team decided on through the iterative sketching process in Phase 1, into material reality. This is where you begin to have you kiosk take shape, and will begin to gain a better understanding of constraints related to size, materials, interaction with physical products, screen size and position, etc. You should leverage all of your materials up to this point, especially your paper prototype testing results, interview data, online research, and design spec. Bear in mind that your physical kiosk prototype *must* accommodate and utilize an actual digital screen for information displays and interactive screen elements. You should design even your early prototype iterations with this constraint in mind. You need to work quickly to start bringing elements together in order to test the physical aspects of your kiosk in conjunction with your screen designs. You must do at least some testing with a physical kiosk + paper prototypes for the screens to work out any problems early on before moving on to higher fidelity solutions. You can utilize any of the previously utilized techniques for testing in this area, and each group needs to decide on the right kind and number of tests to run—and be prepared to justify your process and results in your final report. Design specification. Groups should construct a basic design specification document that covers the various pertinent and relevant aspects of their designs as they relate to requirements, constraints, and considerations. This is your chance to clearly and concisely communicate these important factors about your kiosk, its intended context of deployment, and the key issues and design goals that must be met as a function of how you have conceived of your design. Students should use the template spreadsheet provided, and edit the 'aspects' as they see fit for their particular project. This spreadsheet should then be translated into a document that lists each aspect along with their respective requirement, constraint, and consideration components in a clear and easy to understand manner. See the two examples at the end of this document for scaffolding/examples of the type of document you should produce (adjusting formatting and content as needed for your spec, as these are not perfect—but do offer a useful guide). Moodboard. Drawing inspiration from your user research and personas, create a list of adjectives that captures the essence of the emotional experience you want to create with your design ideas. Then, using this list of words, create a moodboard as a collage of images that have a consistent mood and feeling with a relatively small set of colors. The moodboard will be used to select colors, typefaces, and design elements for your design language specification. This should be constructed collaboratively, with input from all members of the team. Screen designs and 'interactive' prototype. Using your team’s design language, create a click-through demo showing high fidelity digital screens that illustrate the key interactions for the main use cases/scenarios your team has identified in the research and conceptualization phase. The screen designs might be produced and tested as a slide deck (WoZ style) or might be imported into an online screen prototype tool (e.g., InVision, MarvelApp, etc.) so that people can try a click-through demo. Your team should decide what is best for you based on your constraints and goals. Based on input from your testers, create a short document (about 1 page long) with a list of of design considerations/improvements/changes for the next iteration (bullet-point format is acceptable). Your summary should also facilitate you being able to talk about what changes you implemented and what the result of those changes was (from an evaluation standpoint) in your final report. A physical chassis constructed out of appropriate materials and with an appropriate level of craft and polish such that it approximates what a fully realized version of your kiosk might look like (should be nearing final product). A digital screen that displays pertinent information and feedback to complete the major tasks, scenarios, and application flow that are a part of completing a purchase through your kiosk (based on all work completed up to this point, and in particular the work carried out in step 5 of Phase 2 above). Finalized kiosk. Taking everything you have learned from user testing, the interim and final crit, as well as any additional feedback you receive from instructors and peers—you should complete work on the final iteration of your kiosk for the final showcase and demo. This is also the version that will be what is captured and represented in your final report. A title page with your team name, date, team members and emails. A slide to introduce the challenge/design problem space. 1-2 slides on your personas/intended users. 2-3 slides on your novel kiosk concept that introduces the typical use-case scenario, and that demonstrate how your solution addresses the design challenge you identifies. As an "appendix" 2-3 slides showing your team’s moodboard, design language, and design specifications (and any other supporting material you feel is appropriate). A slide with contact information and acknowledgements. Project poster. Create a poster with vertical layout at a size of 11" x 17" designed using your team's design language. The poster should serve as "marketing material" for your kiosk that serves to "sell" the idea to a potential investor or client. Think of it as something that might be displayed at a trade show or some other marketing event or convention. You should definitely leverage lessons learned from A2 when designing and laying out your poster, and it should be presented in such a way that it is clear to the viewer what the kiosk is, the retail context it addresses, why and how it is innovative, and why they should/would want to install it in their retail space. Note: when designing the screens, slides, and poster, make certain that you are leveraging lessons, techniques, and best practices you learned from completing A1 and A2. Low fidelity physical kiosk + paper prototype screens: Begins 2/26 and is ongoing through the interim crit that will take place on 3/7. You *must* have built, iterate on, and tested this iteration of the kiosk by then, as you will need to provide photographs of the kiosk and other supporting materials on that date for the crit. Integrated mid fidelity physical prototype of kiosk: completed by 3/15 for final crit in studio section (must bring iterations of physical kiosk, slides, and poster). A nice comparison of UI prototyping tools can be found here. NOTE: you will submit three (3) separate PDF files per group: report, poster, slides. These should *not* be combined into a single PDF, but should be uploaded as separate attachments to your final A5 group submission. A note about page lengths: spacing is assumed to be double spaced, with "~1 page" taking into consideration that it will vary from half a page to something slightly longer than a page. Use your best judgement in ensuring that what you submit provides sufficient detail and insight for a given deliverable. ~1 page introduction to project including context, motivation/design problem, your proposed solution, etc. Paper prototype, laid out in logical order for a minimum of one representative complete workflow (you can lay it out on a table and take photos or do scans and combine them as you see fit). Include arrows or other annotations to show the intended flow. High fidelity screens and clickable prototype: 1 complete and representative workflow from start to finish (can include multiple screens per page as long as they are legible), indicating the flow with arrows/captions. best if you can show progression from wireframes to this iteration. ~1 page summary of your final crit (from 3/15) insights, actionable changes, intentional improvements to be made, etc. and supporting photos of your kiosk for comparison to what is demoed at final showcase. Presentation of final kiosk with representative photos (minimum 2 of the entire kiosk from different angles and minimum of 2 showing close-ups of key elements you want to highlight), include very brief descriptions and annotations/captions highlighting features and functions. ~1 to 2 page conclusion that contains a discussion of the challenges your team faced, improvements you would make to your final iteration for the purposes of this assignment, some discussion of possible next steps for the next iteration/version of the kiosk if you were continuing the project, and a final reflection. Appendix: we will provide you with a link to a shared Google Drive folder (in the Canvas submission area), labeled by group number, that can serve as an "appendix" where your team can upload any/all supporting process artifacts you created throughout the course of the project that are not included above. Completion of a team/project evaluation questionnaire (Google Form) that will be taken into consideration when calculating individual final grades for the project. Did the team effectively search about the problem space and other related information? Did the team adequately and clearly summarize their findings? Are the personas informed by preliminary research? Do the personas clearly communicate the primary and secondary stakeholder goals, needs and desires? Is there a minimum of 1 persona per team member? Do the storyboards clearly communicate the context, problem, solution, and resolution for each scenario? Are the storyboard iterations more polished and detailed, building on your "speed dating" storyboards? Did each team member create a minimum of 1 storyboard? Do wireframe concepts clearly communicate the content and interactive elements of screens/information displays? Do wireframes help clearly communicate initial ideas for the workflow of scenarios and use cases? Do paper prototypes demonstrate how users will interact with screens/information displays to complete the purchase process for the physical product your kiosk is designed for? Are paper prototypes interactive and constructed in such a way that they facilitate user testing? Did teams conduct testing with a minimum of two potential stakeholders/users from outside of class? Did teams clearly articulate a set of tasks to be tested? Did teams effectively summarize results of those tests? Did teams create an effective interview guide with open-ended questions for intended stakeholders? Did each team member conduct at least one interview with a stakeholder? Did teams effectively summarize the key insights learned about the problem and the stakeholders? Low fidelity physical kiosk + paper prototype screens (10%). Does this prototype represent an effective first pass at translating existing design materials from Phase 1 into material reality? Does the physical kiosk thoughtfully allow for the integration of a working digital screen? Is there a clear indication of integration between the physical kiosk and paper (or digital) screens? Did teams produce/provide the required materials and participate in the interim crit? Did teams effectively create a moodboard consisting of a collage of images that have a consistent mood and feeling with a relatively small set of colors? 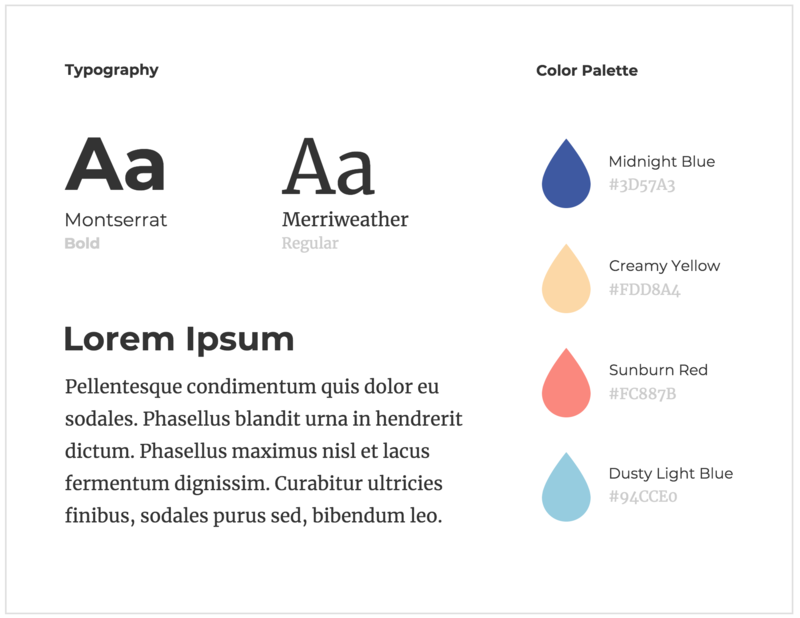 Does the teams style guide present a clear and consistent design language? Does the interactive screen prototype effectively use your team’s design language to create high fidelity screens? Did the team create a click-through demo that illustrates the key interactions for the main use cases/scenarios? Did the team test their 'clickable' prototype with at least 3 users? Did teams create a short document (about 1 page long) with a list of of design considerations/improvements/changes for the next iteration? Did teams effectively produce a fully-realized working prototype, made of the materials your team has chosen, and that has integrated your high fidelity digital screens? Does this prototype show evidence of building on and incorporating lessons learned from earlier deliverables? Does the prototype satisfy the constraints of the design brief? Does the prototype effectively communicate and allow the user to walk through completing a purchase within the intended context of the kiosks deployment? Did teams actively participate in the interim crit on 3/15? Screens have consistent and appropriate visual design, navigation, and hierarchy? Effectively and compellingly addresses the specific design goal/problem as articulated by the team? Does the final design demonstrate an innovative solution to a problem? Does the final kiosk demonstrate design with intentionality? 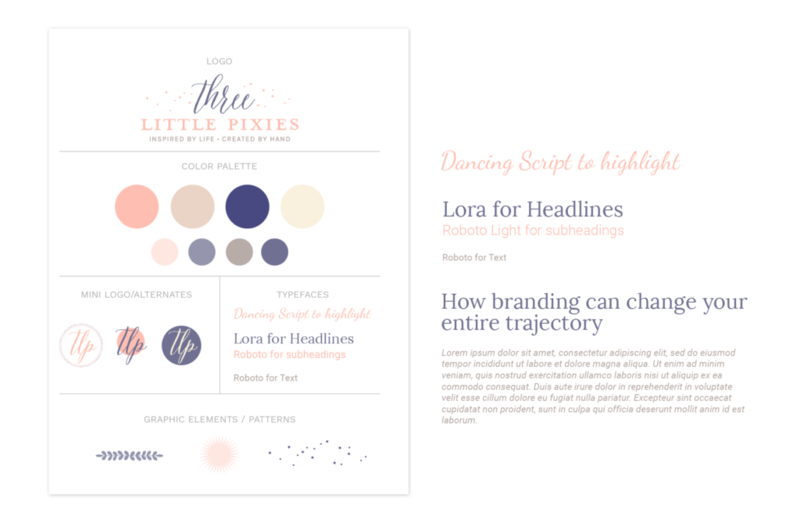 Does the slide deck adhere to the style guide? Does the poster make use of hierarchy, image, and grid? Does the poster clearly communicate the context and goals of the design? Does the poster use the design language specification consistently? Does the poster have visual appeal and does it communicate information clearly? Does the poster serve as effective 'marketing material' for the kiosk?